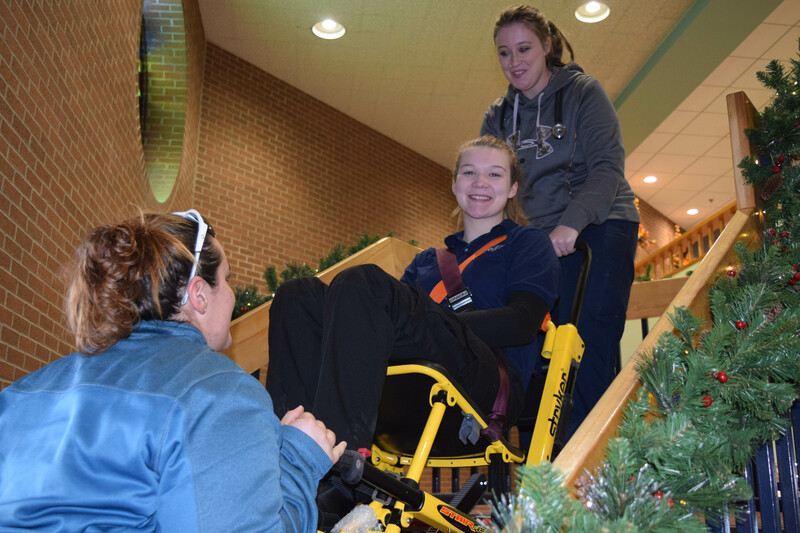 Aroostook County – Northern Maine Community College has succeeded in earning national reaccreditation for its Emergency Medical Services program. After a two-year process of preparation and thorough examination, College officials were notified about the designation by the Commission on Accreditation of Allied Health Education Programs (www.caahep.org). The Commission accredits a variety of health educational programs in order to ensure that instruction is meeting national industry standards. Accreditation helps to secure a supply of qualified health care professionals. The process of accreditation includes a self-study and an on-site visit by an accreditation team. It was determined that the EMS program meet the educational standards and guidelines established by the profession. The curriculum for the two-year Associate in Applied Science degree includes classroom instruction, skills labs and about 600 hours of off-campus externship. Upon graduation, NMCC students are eligible to sit for the National Registry of EMT-Paramedic Licensure exam. The accreditation is effective for five years and is renewable subject to further review and audit in order to keep the program up to date with national industry standards. To learn more about the emergency medical service program at NMCC visit nmcc.edu.